Did you see we are having a Design Team Call? All our details are below…. We look forward to seeing all your fabulous entries! 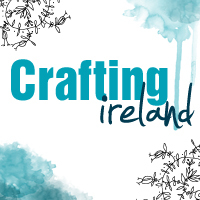 Crafting Ireland is looking for enthusiastic crafters who have a passion for paper crafting and would like to share their own tutorials and ideas. 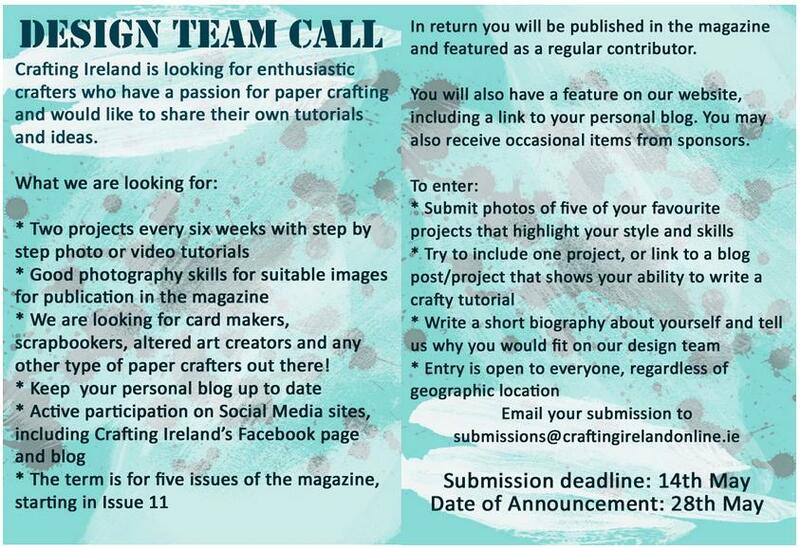 We are looking for card makers, scrapbookers, altered art creators and any other type of paper crafters out there! In return you will be published in the magazine and featured as a regular contributor. You will also have a feature on our website, including a link to your personal blog. You may also receive occasional items from sponsors. Issue 9 – out now!! Its here – issue 9!! Click on the image below to read it…. It is a bumper issue, packed full of tutorials, products, challenges and inspiring ideas. We have a fantastic new swap challenge in this issue, along with a design team call!! Enjoy and as always tell us what you like seeing and what you want to see more of! !